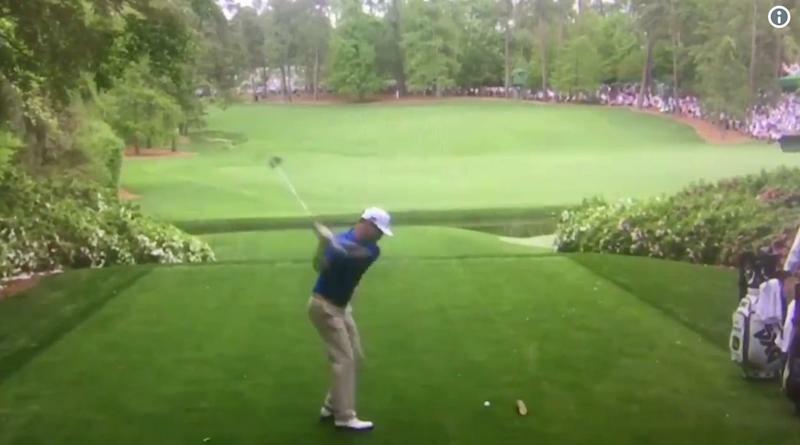 While on the 13th tee on Friday at the Masters, Zach Johnson accidentally hit his ball on a practice swing. As Johnson steps forward to take his practice swing, he accidentally connects with the ball, sending it straight into the adjacent tee marker. Under USGA rules, Johnson was allowed to re-tee without penalty because it was not intentional. Had that happened not on the tee box, Johnson would have incurred a penalty. Johnson re-teed and ripped one down the middle, then hit his second to 30 feet and two-putted for birdie to get to one under on his round and one over for the tournament, putting him firmly inside the cut line for the time being. "I don't think I could do it again if I tried". Johnson, playing with Phil Mickelson and Matt Kuchar, told the golfers they could laugh at his mistake. The 2007 Masters champ bounced back in the early going on his second round, moving to one-over par on several occasions.